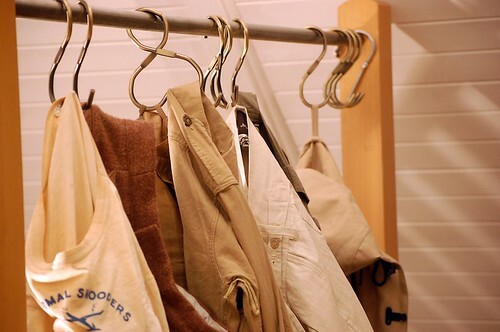 Nigel Cabourn has worked in the fashion industry for forty two years, yet his clothing has very little in common with most people’s understanding of fashion. 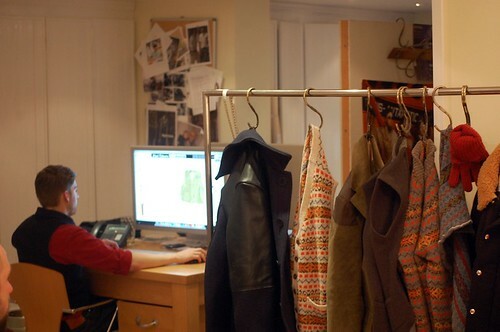 Cabourn is a designer who is driven by his longstanding passion for vintage clothing, fabric and details. He has collected vintage clothing since the 70s after falling for their charms on visits to Portobello Road with Paul Smith. 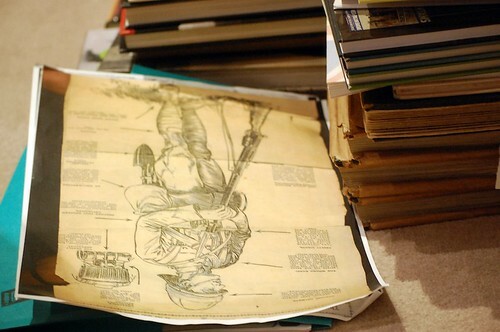 Since then he has amassed an archive of over four thousand pieces. It is this ever expanding vintage collection that is the cornerstone of each collection, not a response to a particular trend or demand. 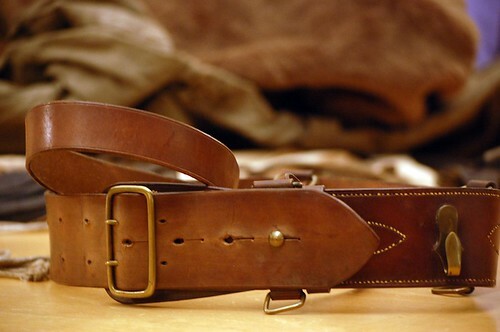 Each collection has a real story, is grounded in history and integrity underpinned by the highest level of quality. It is Cabourn's encyclopedic knowledge of uniforms, work and utility wear combined with his eye for creating something new which makes him so special. 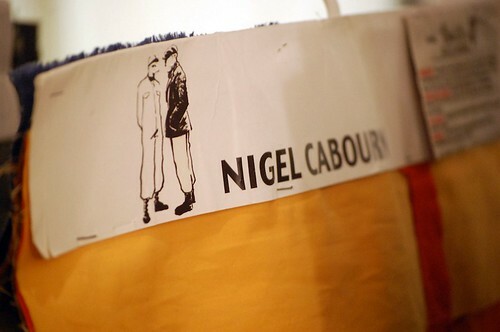 Many designers from around the globe have imitated or appropriated elements of his design but there is only one Nigel Cabourn. 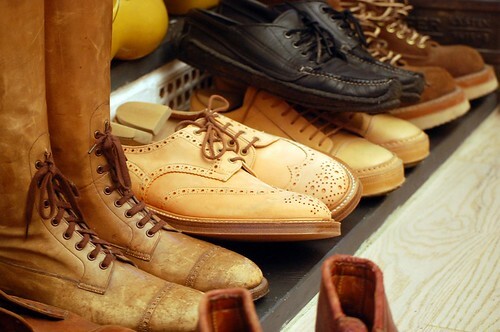 He has, without doubt been and indeed continues to be one of the leading figures in menswear. Last week, I was invited up to his Newcastle base to explore the label and to find out about a number of exciting developments for AW11. This trip has to be my blogging highlight. The close knit Cabourn team work and play in a converted two story gardener’s house at the bottom of his garden which overlooks a cricket pitch and nets. 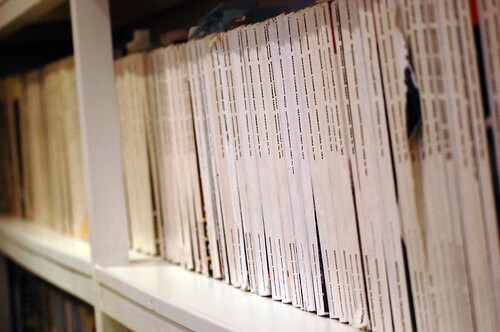 The studio is home to the astounding archive. 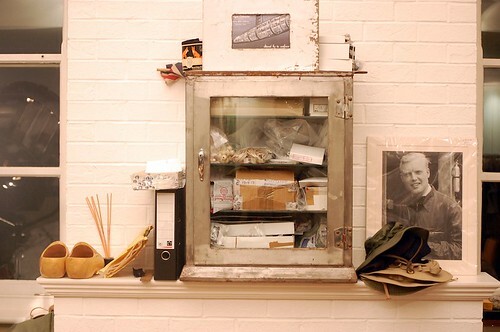 It is this archive which serves as his rich source of inspiration and it consists of salvaged British Military uniforms, workwear and a treasure trove of exploration garments unearthed from all corners of the globe. 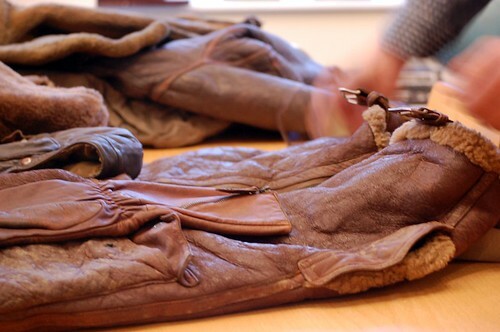 I arrived in snowy white Newcastle just as Cabourn took delivery of a second world war flight suit. 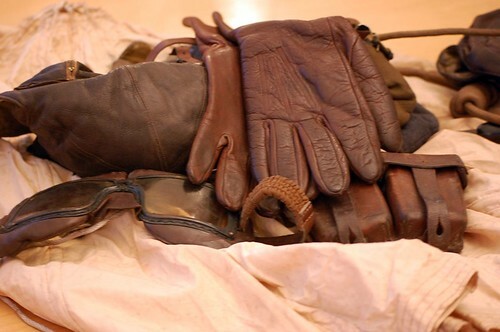 That very morning, he had received an excited call from a friend informing him that an auction house located an hours drive away was offering the RAF suit. 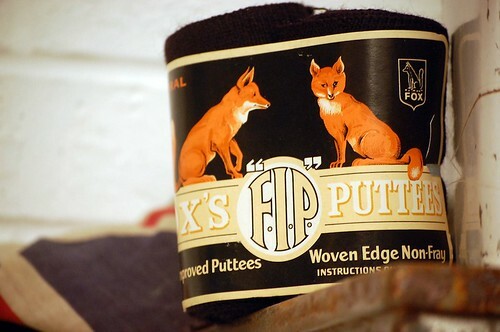 Ever the collector, Cabourn and his right hand man Drew, could not resist and they soon bagged their latest find. I was fortunate enough to be able to view their passion first hand. It was infectious. Thankfully I was able to document the experience for you. A look at the fluit suit from all angles. A selection of vintage finds that caught my eye. 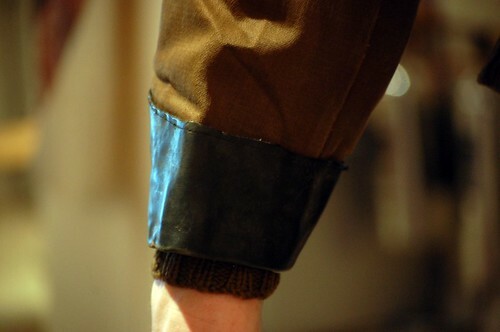 Fabric unsurprisingly plays an important role in Cabourn's designs. His AW10 Save the Nation Collection is an in-depth look at the original and authentic foul-weather garments worn to protect against the harsh environment of working on the deep sea and Harris Tweed features heavily. In a time before modern synthetic waterproof fabrics existed, traditional fabrics and materials were used and adapted to resist the elements. 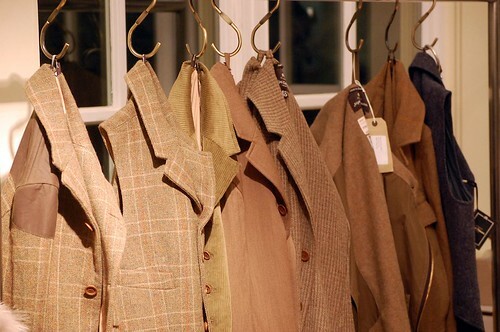 Garments were weather-proofed by soaking cotton in linseed or fish oil, sometimes in beeswax. Shetland wool knitwear provided warmth, with a cotton or flannel base layer underneath. 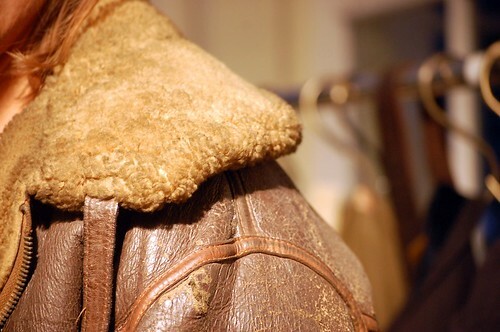 Cork was used to improve buoyancy in the water and chunky wooden toggles were used on heavyweight duffel coats as a way of keeping the very thick fabric closed against the cold harsh wind. 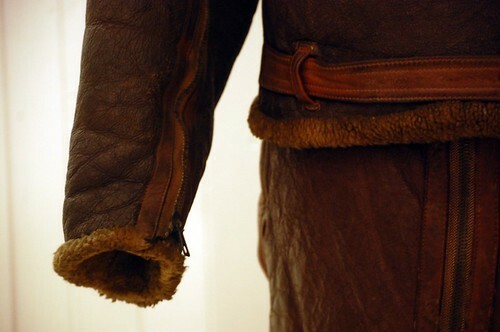 Outerwear was often dyed bright yellow or orange to stand out in the poor visibility during a storm and made lifeboat men more visible to those who needed rescuing from the sea. The collection is a study of these original foul-weather garments, based on carefully researched vintage pieces and using heritage British fabrics and the highest quality British manufacturers. This is a philosophy that runs through each of his collections. 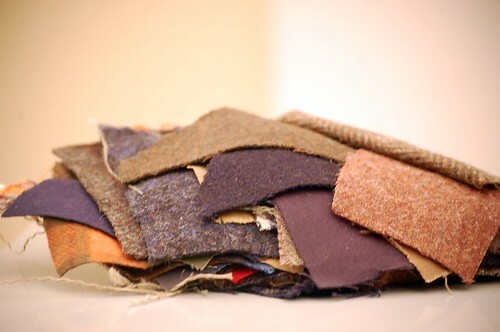 Fabric swatches and rolls of tweed. 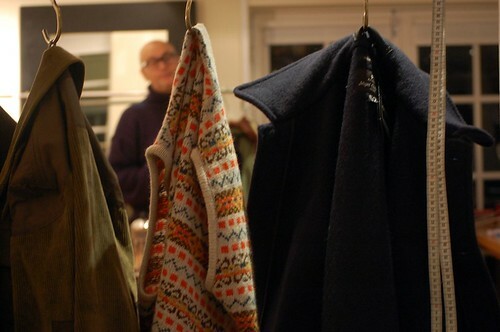 For those of you who do not know, the Nigel Cabourn label is split in two complimentary lines, Authentic and Mainline. The original Authentic line it was first launched in its present form in 2003 to coincide with the 50th Anniversary of Sir Edmund Hillary and the 1953 Ascent of Everest. This was undoubtedly a remarkable human achievement and the clothes worn were basically all military, customised for the climb. 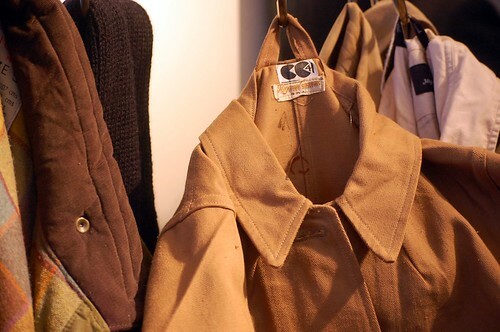 Remarkably, Cabourn had many of the originals in his vintage library so set about recreating them as close to the originals as possible. Today every Authentic Range follows the very same philosophy, it will have a real story and sense of history and integrity but at the highest level of quality. 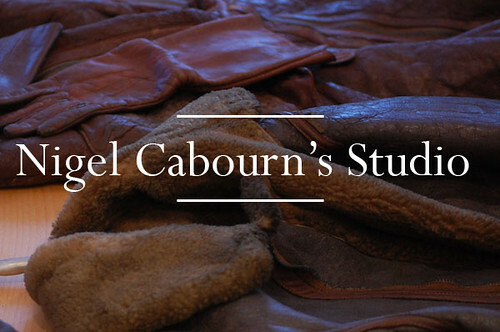 Given that Cabourn has a great appreciation and knowledge of Japanese fabrics, he has used them in his collections for many years. The Mainline Collection gives him the chance to produce a specialist collection based on Japanese fabrics and production techniques not available in UK. This creates a unique situation where the two collections Authentic and Mainline start with the same concept and we are then able to expand the collection in Japan using some of their unique contemporary fabrics, finishes and washing techniques. Nigel travels to Japan 4 times a year to not only work on design and fabrication but so he can also personally approve each prototype. He also works with some of the best Japanese mills who develop new fabrics for him, based on original vintage fabrics from his archival collection. He pays particular attention to Japanese accessories to give Mainline the same integrity and attention to detail as Authentic. 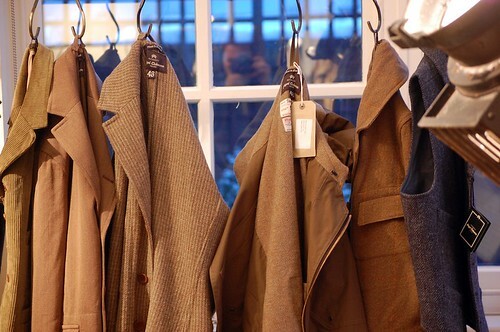 Highlights from current Cabourn collections. 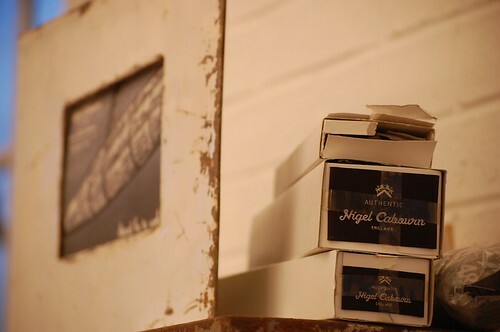 Nigel Cabourn might have worked in the industry for over forty years but he still has an incredible enthusiasm and passion for what he does. Long may it continue and long may he continue to inspire others. I will leave you with a repeat of his telling description of his design life because it sums up the man far better than my excited ramblings. "I consider this to be my working hobby. It's not really a job at all." 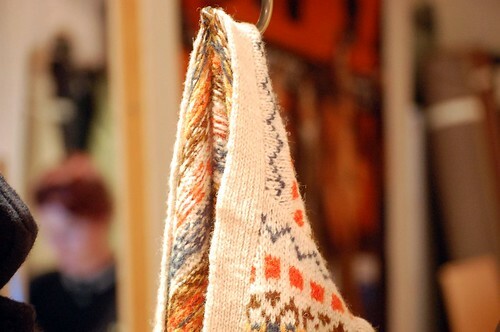 his items are very gorgeous!!! i'm so happy to see your pose! p.s i wanna see the big size photo. if i mail you, could you send them to me? saysayIs: Of course. I'm in Hong Kong at the moment but I'll email you on my return to London. Amazing post! 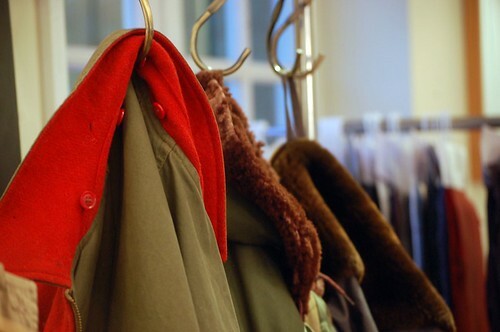 Where is the best place to buy Cabourn? hw6152: Thanks! 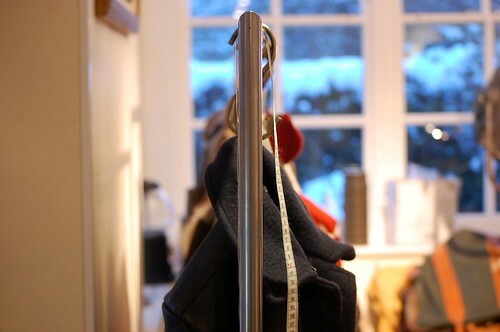 The label has built up a number of key stockists worldwide (http://www.cabourn.com/stores.html). Where are you based? OMG. 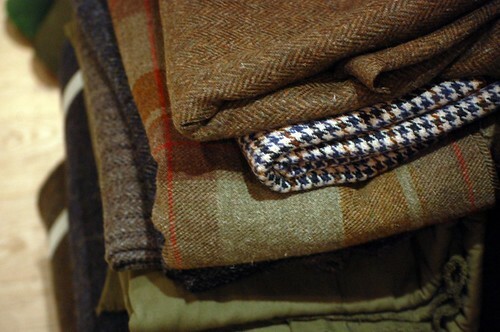 i love nigel cabourn's collections. 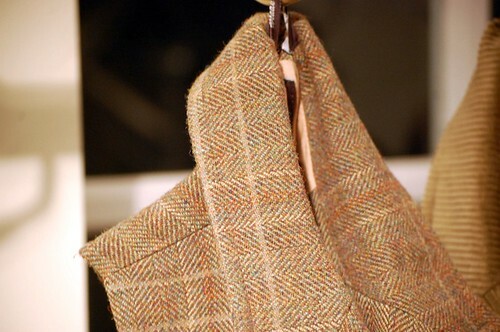 his tweed jackets are to die for, but a tad too pricey for me. Haha, it made me laugh too see Nigel in the background of your picks the mouth wide open, he's such a character! He's very funny, I had the pleasure to meet him several times when I used to work for L'eclaireur in Paris. 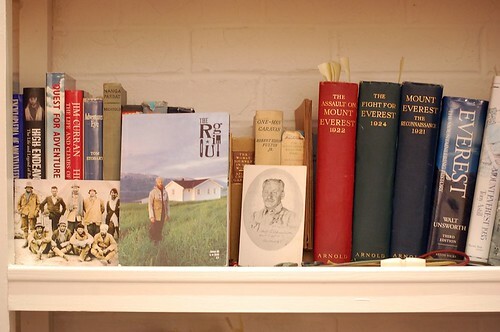 that's so cool to see mono magazine on the wall! 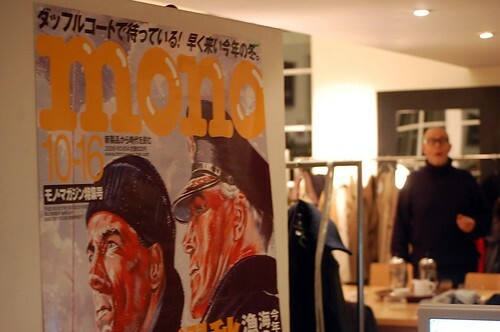 I did a post about mono (http://bit.ly/MonoMag) when I was living in China because my hairstylist always gave it to me to read :) The whole store definitely captures that Japanese vintage-Americana-workwear vibe I remember from many issues of the magazine and I love the shoes and gloves!